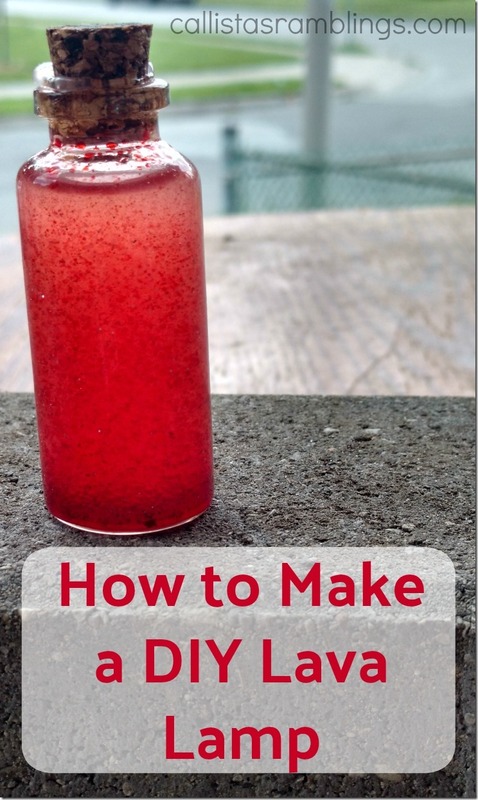 This DIY lava lamp craft is perfect for a 60s theme camp or birthday party. It’s small and easy to make with a large group but just as fun if it’s with one. 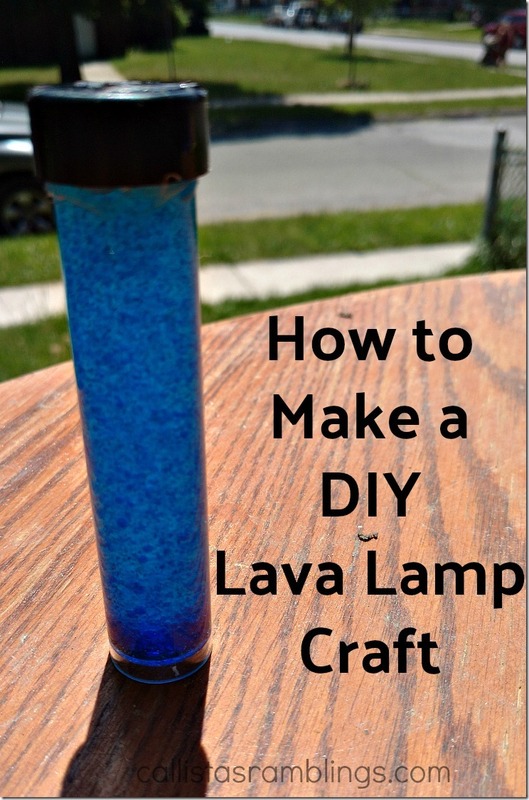 This easy to make DIY lava lamp craft is a fun addition to any bedroom or living room. You need to fill your chosen jar with vegetable oil. The best way to do this is with a funnel. Hold the funnel in place with one hand and pour with the other or get a friend to help you. You want to fill it completely full. You may want to do this on newspaper or a counter where the oil won’t stain anything. 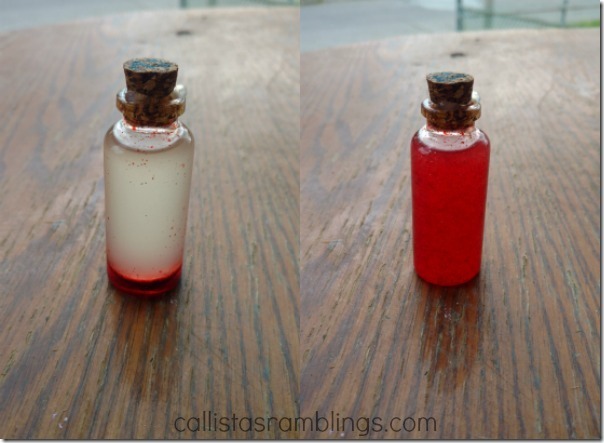 Get a little cup and mix water with food colouring to the desired shade. You’ll see multiple colours above because we did this with a group who got to pick the colour they wanted. However if you are only making one, only use one colour. One colour per lamp. Using a syringe (the kind you give a child medicine with), draw up the coloured water and then slowly and carefully push bubbles of coloured water into the bottle of oil. It’s important that the coloured water is added a bubble at a time. You do not want to accidentally push the whole contents in at once or it might not work. Younger children will need help with this. 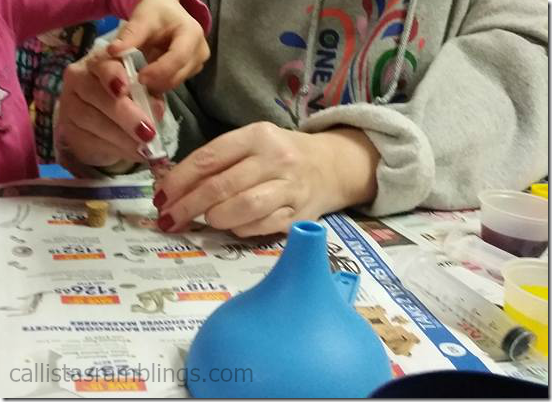 Once they push in a bubble, move the syringe over a bit to put the next bubble somewhere else. If you choose, you can sprinkle in some sparkles at the end. It makes it look prettier so if you have some in a coordinating or matching colour, it’s a good choice. Be prepared to make a bit of a mess as you sprinkle them into such a small opening. Seal the lid with a hot glue gun. Give it a few seconds to dry and then you can give it a little shake and watch as the bubbles and sparkles swirl around. That’s all there is to it. As I said it’s really quite easy. 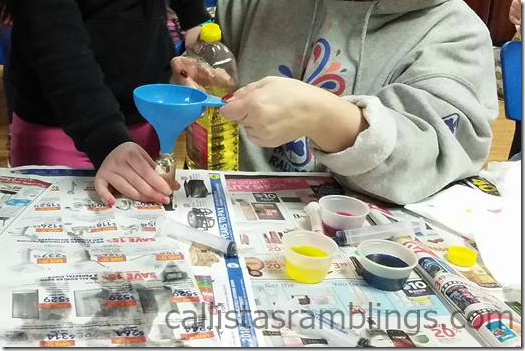 If you are planning a 60s theme or you just miss your old lava lamp this makes a fun craft to do with a child.